The California Self Generation Incentive Program makes California the best location in North America for energy storage. Adara Power has mastered the 117 page handbook and associated documentation required for submission. Our commercial product is super competitive and beats almost all of the name brand solutions. If you have high demand charges from E19 or E20 rates in PG&E or from similar rate structures in SoCal, we can help. Here is our latest analysis of slicing and dicing the weekly report showing the $/kWh for residential energy storage and commercial energy storage. 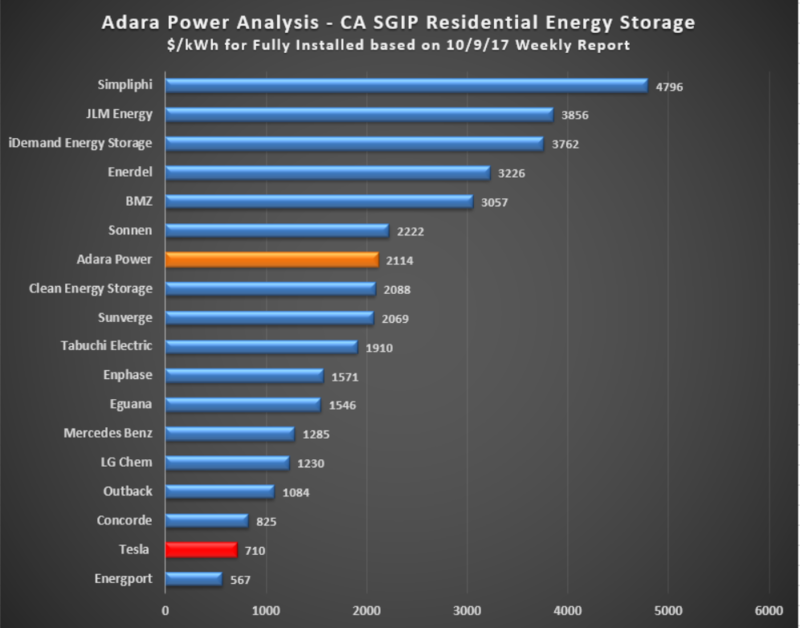 We highlight Tesla and Adara Power. We love this weekly report by the Califonia Energy Commission (CEC) because the project developer has to put the fully installed project cost down and it must match the contract. No matter what you hear on the energy storage pulpit – this are the real numbers. The Adara residential numbers are based on our Gen 1 solution which is still fully supported but no longer for sale. Give us a shout and we can help you take advantage of this great program to lower your electricity bill. 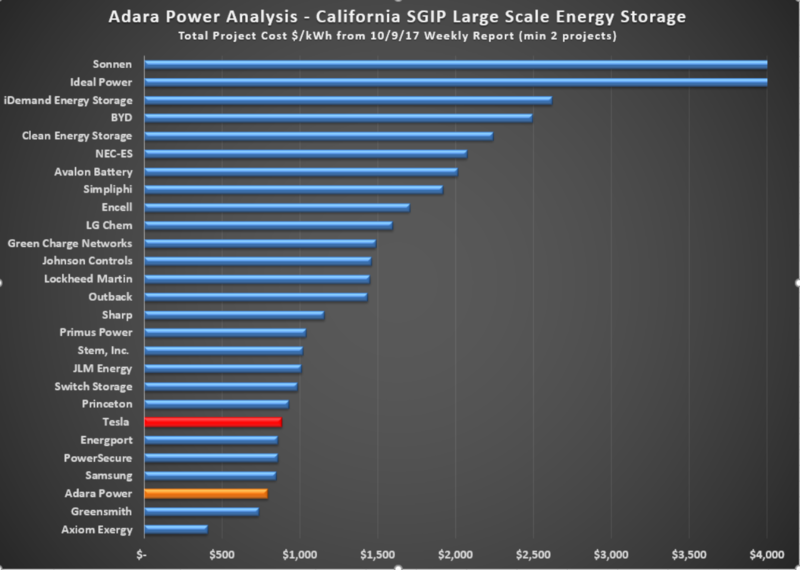 Posted in Energy Storage Blog and tagged $/kWh, energy storage cost, SGIP.